P3	P4	P5	P7 What are Natural Resource Charter precepts? Myanmar is undergoing political, economic and social transitions. Peace negotiations involving the government, military and ethnic armed groups have led to an agreement—in principle—to move towards a federal union. This could have major implications for natural resource governance. Historically, national institutions have primarily been responsible for managing the country’s resources. However, demands for more subnational control are widespread. 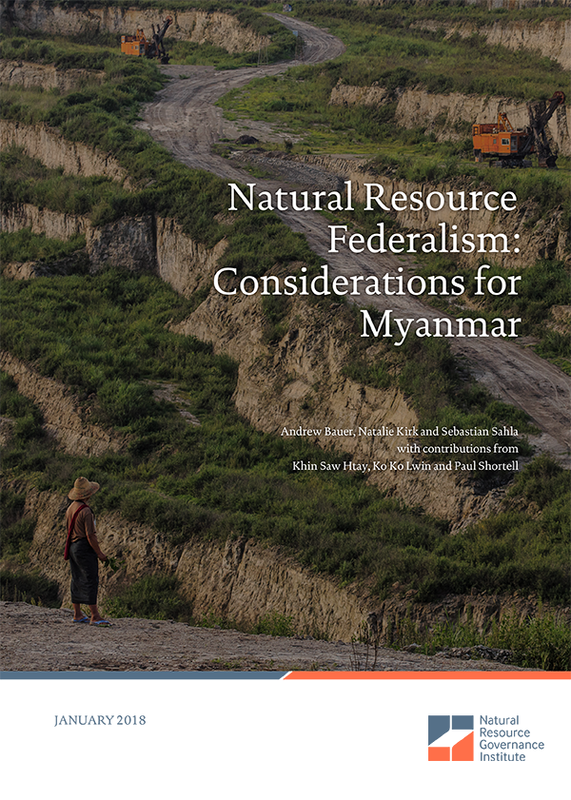 Drawing primarily on case studies from the Asia-Pacific region, Natural Resource Federalism: Considerations for Myanmar presents policy-makers with a framework for thinking through the range of natural resource governance responsibilities and the models used by different countries for conferring greater influence to subnational institutions. Split responsibilities. National governments often write laws and regulations while subnational governments are involved in implementation, monitoring and enforcement. This allows countries to maintain minimum national standards while bringing decision-making closer to those people directly impacted by extractive projects. Shared responsibilities. It is common for countries to share responsibilities between national and subnational governments in certain policy areas. This is particularly important when it comes to issues where broad-based support is important, such as the granting of licenses for exploration and production. Common subnational responsibilities. Certain responsibilities are more commonly allocated to subnational governments, even in unitary states. This is particularly relevant when managing the sector’s negative impacts, which may be more heavily felt at the local level and where local officials may have better access to information. Common national responsibilities. Other responsibilities often remain with national institutions, even in federal countries. Typically, this includes setting tax and royalty rates, collecting major revenue streams and negotiating large-scale contracts, particularly for offshore oil and gas.